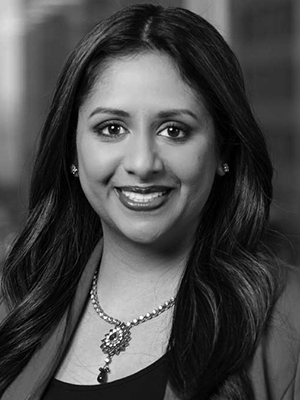 In March, Rekha Unnithan (Portfolio Manager, Impact Investing, Nuveen) joined the Aeris board of directors. Ms. Unnithan shared with us a few thoughts on the present and future of impact investing, and why she is excited to join the Aeris Board of Directors. To me, impact investing is a form of investing where there is an intentional focus on generating a certain outcome. By “intentional” I mean that all phases of the investment—from the selection, the decision to diligence, and ultimately making the investment—are driven by the intention to generate a certain social or environmental outcome, beyond financial returns. Impact investors can have a range of expectations with respect to risk and returns. My own orientation is toward a risk-adjusted financial return, paired with an intentionality lens and a commitment to evaluating and measuring impact over time. Impact investors like me first think about the goal of the investment—that is, to create some service, good, or outcome—and second, how to evaluate or count that impact. We use those data to report to capital providers and stakeholders and, even more importantly, to inform our future behavior with respect to how we invest. Do you view impact investing as distinct from investing based on environmental, social and corporate governance (ESG) criteria? Yes, I think that for all impact investors the evaluation of ESG criteria should be embedded in their work. Impact investing becomes more sustainable if investors take a holistic view. However, in my view, investing according to ESG criteria does not necessarily make you an impact investor, since impact investors invest with a particular and intentional outcome in mind. How did you come to be involved in impact investing as a career? I grew up in an emerging market—I was born and raised in Mumbai, India. As an undergraduate student, I studied Economics at Yale, where I took a fantastic course on developmental economics that first exposed me to microfinance and to the great work of Dr. Muhammad Yunus. My interest in economics peaked that point, and I think that really planted a seed for my later becoming an impact investor. After college, I went to work for Merrill Lynch, where I managed money for foundations and endowments. That type of capital is very focused on issues beyond just investment returns, even though at the time I was managing what you might call ‘traditional’ investment portfolios. My interest in outcome-oriented finance continued while I pursued my MBA at the NYU Stern School of Business at night and on weekends. At Stern, I took a two-semester course on social innovation and impact, and I used up all my vacation time to travel to India to work at a microfinance institution there. After earning the CFA designation, I had the opportunity to join TIAA (now Nuveen) where I designed and created a portfolio approach to impact investment. And now it’s all about implementing that impact investing strategy. The Global Impact Investing Network (GIIN) recently released its Roadmap for the Future of Impact Investing, with specific recommendations for the field. From your perspective, what does the impact investing field most need to achieve its full potential? I serve on the advisory board for the GIIN’s Initiative for Institutional Impact Investment, and I am very supportive of the GIIN’s Roadmap. Whatever you choose to call impact investing—whether it’s a movement, an asset class, or a sector—the fact is that the practice is growing. As you know, in 2016 the United Nations adopted the 17 Sustainable Development Goals (SDGs) for 2030. It’s the first time that government, corporate, and philanthropy sectors have spoken the same language around the challenges facing our planet and its people. Today a real movement is forming behind the SDGs. That’s good news because a multi-stakeholder approach is going to be critical for tackling the big challenges that are ahead of us. But implementation is going to be where the rubber meets the road. With all the investment capital being raised, having a roadmap will be critical. I think a key part of the GIIN’s Roadmap is the expectation that all impact investors will measure and report on impact metrics. After all, measuring and reporting on impact is what makes impact investing different from any other type of investing. There is still much more to be done around frameworks and implementations for how investors will integrate metrics and frameworks into their work, but the momentum behind the SDGs is very encouraging. What excites you most about joining the Aeris board of directors? Obviously, Aeris has a strong reputation in the U.S. community investing space as the go-to resource for assessing the financial strength and impact performance of CDFIs. Clearly, it’s been a great success story, and we’ve seen some of the leading CDFIs in the U.S. scale up and attract new sources of capital. One of the things that excites me most about joining the Aeris board is what Aeris can do to leverage its insights into impact measurement and management for the future of impact investing. I think Aeris’ core purpose of “Guiding Capital to Good” fits really nicely with my own philosophy as an impact investor and what I think the industry needs to be successful. Impact investors need partners who can help them design systems, articulate their impact, and report on that impact. I see a huge need for quality partners and providers because there is a lot of capital that is moving. For me, it’s also an opportunity to work with a great team, including the existing management team that has built Aeris to this point and is looking to the future. I’m also excited to join an excellent board which has an interesting and diverse background that is helping management shape the organization’s future course.